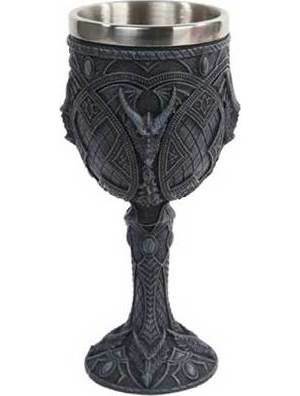 Shop > Ritual Supplies > Chalices > Dragon Chalice 6 3/4"
A stunning chalice decorated around with dragon heads and heavily carved throughout. Stainless steel insert for drinking. Stainless Steel, Cold Cast Resin. 6 3/4" x 3 1/4" x 3 1/4"